The Cabinet of Lebanon is the chief executive body of the Republic of Lebanon. 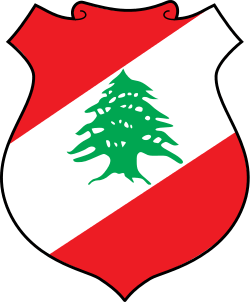 The July 2005, Lebanese cabinet was formed by Fouad Siniora on 19 July 2005 who was appointed by then president Émile Lahoud. All the main political blocs were included in it except for the Free Patriotic Movement-led bloc headed by General Michel Aoun. On 24 November 2007, the government became an interim one following the end of the president's mandate. The July 2008 Lebanese cabinet was formed by Fouad Siniora on 11 July 2008. In November 2009, after five months of negotiations following the 2009 parliamentary elections, Lebanese prime minister Saad Hariri formed a national unity government. On 13 June 2011, after five months of negotiations following the designation of Najib Mikati as prime minister, he formed a new government. ↑ "Lebanon's national-unity cabinet formed". NOW Lebanon. 9 November 2009. Retrieved 10 November 2009. ↑ "Lebanon gets Hezbollah-led cabinet after 5-month lag". Reuters. 13 June 2011. Retrieved 13 June 2011.